Long before terms such as cost-benefit analysis, whole life costing etc were invented these concepts were being used by governments to choose solutions to infrastructural challenges. In North Western France, within 12km of each other, are examples of two remarkable pieces of infrastructure. Both were built to solve the same problem, how to cross a water obstacle. However the solutions chosen for each are at the opposite ends of the spectrum with regard to cost, scale and ease of construction. 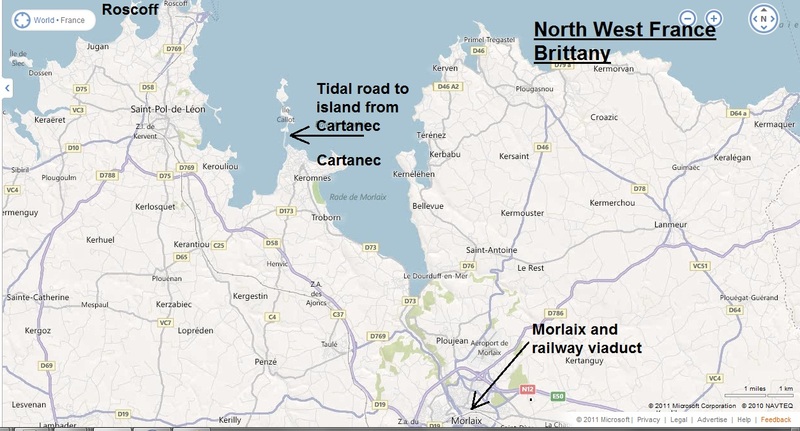 Both are quite close to Roscoff and its ferry port and are worth a visit if travelling to/from France via this route. Obstacle 1. The railway crossing the river valley at Morlaix. 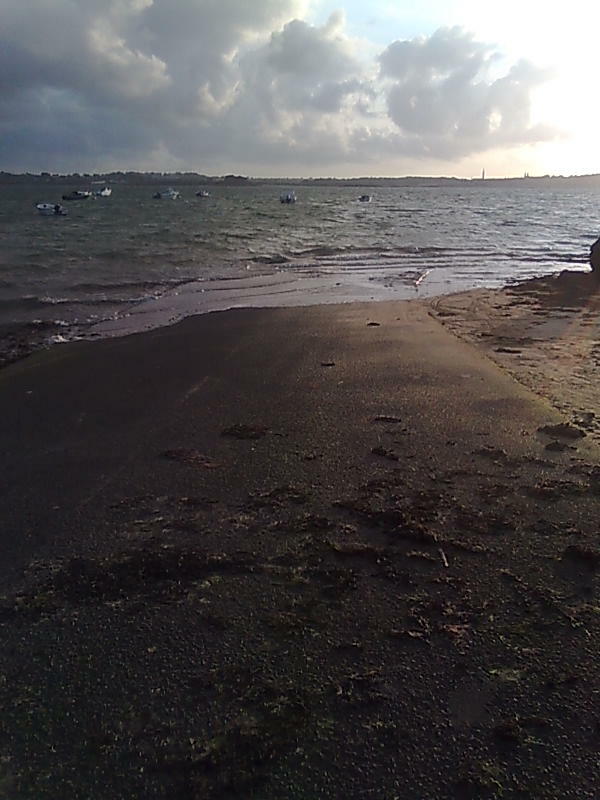 Morlaix is a town located in and around the Morlaix river valley, in Brittany, North West France. 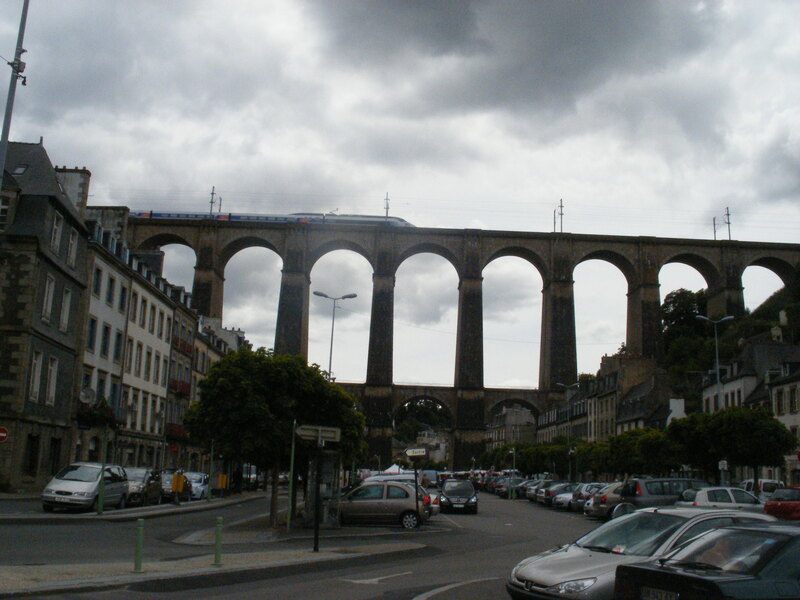 During the 1860’s the railway between Paris and Brest which follows an East-West route had to cross the North-South flowing Morlaix River and its valley. 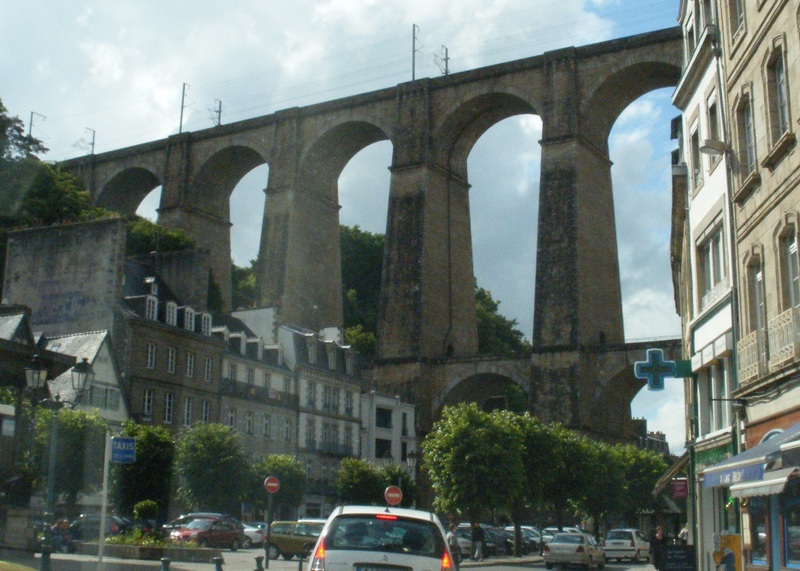 To ensure the railway maintained acceptable slopes and to avoid more difficult terrain to the North and South of Morlaix town an enormous twin level masonry arch railway viaduct, 63m high and 300m long, was constructed to carry the railway over the valley and through the centre of the town. It dominates the town centre from every angle. In think it’s a beautiful structure and adds to the character of the place. However, I would imagine it was a huge shock to the residents at the time of its construction. For the builders and engineers it must have been quite a challenge to construct it, especially being so close to existing buildings in a busy market town. No expense seems to have been spared in its construction and, as is generally the case with this form of robust construction, which used traditional building materials, it is still in use 150 years later. In fact it is now the carrying the ultra fast and sleek TGV trains to and from Paris. See photographs at end of article. Obstacle 2. 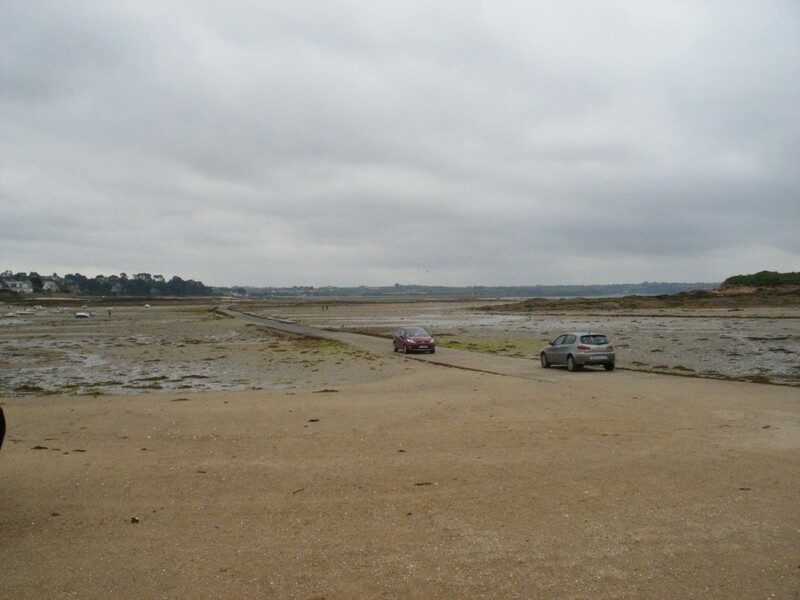 Road access to the island of Ile Callot from Cartanec town Located 12km to the North of Morlaix is the town of Cartanec, where there is the tidal road linking the town with the island of Ile Callot. 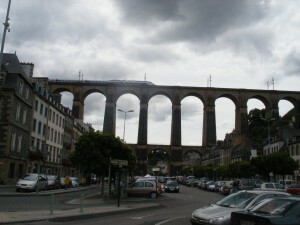 Compared with the Morlaix viaduct this is at the other end of the scale for cost and complexity. This island is 2.5km long and only 0.5km at its widest point. There are a number of dwellings and farms located on the island. 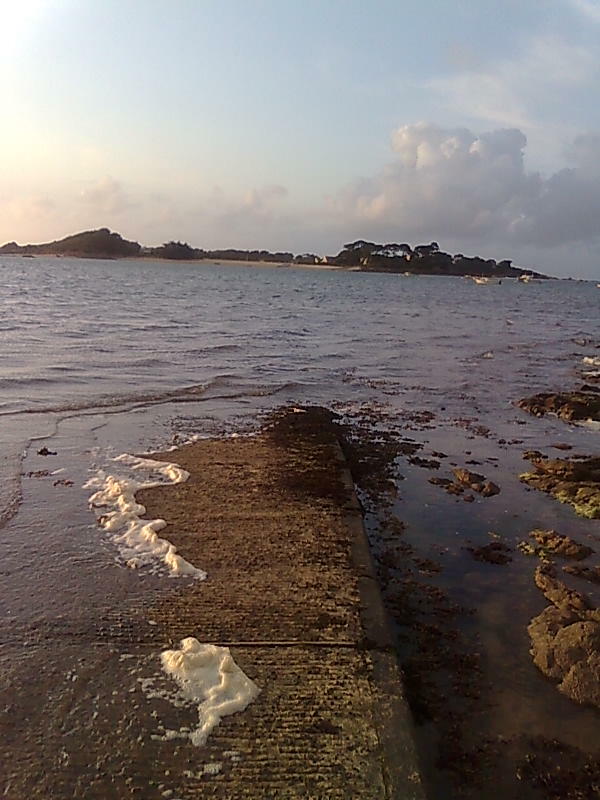 It was uneconomical to build a bridge to such a sparsely populated island and instead an 800 metre long road was constructed on the sea bed to access the island. 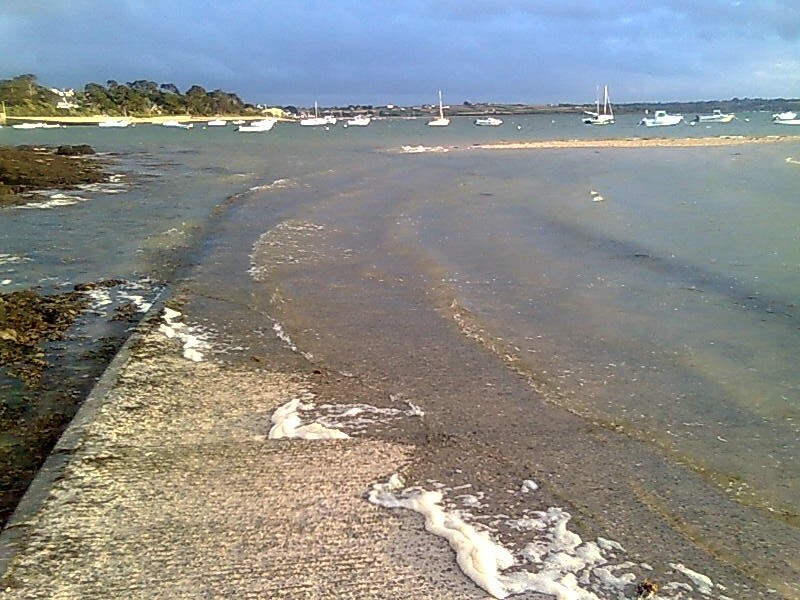 At each tide the road is submerged beneath the sea for many hours and if you miss your chance to get off you’re stuck until the tide turns, or a boat collects you. See photographs below.